Viknesh Vijayenthiran April 11, 2017 Comment Now! 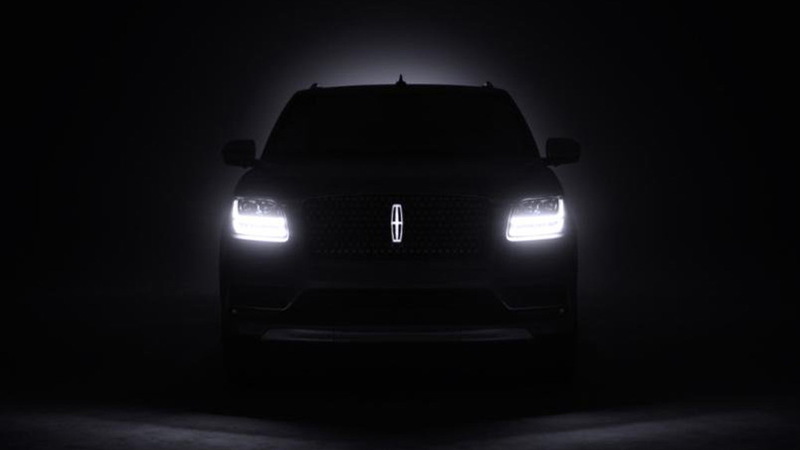 Lincoln has released a teaser for what’s likely to be the 2018 Navigator in production guise. The full-size luxury SUV was previewed in concept form at the 2016 New York auto show, but at this year’s show, which starts Wednesday, we’re expected to be treated with the production model due on sale later in the year. Compared to the concept, the headlights shown on the model in the teaser have been enlarged. The lower portion of the bumper also sports an “A-wing” design plus what appears to be a skid plate. Though we can’t see it here, we also know that the production model won’t get the massive gullwing doors of the concept. The current Navigator has been on the market since 2007, so it’s definitely due for renewal. 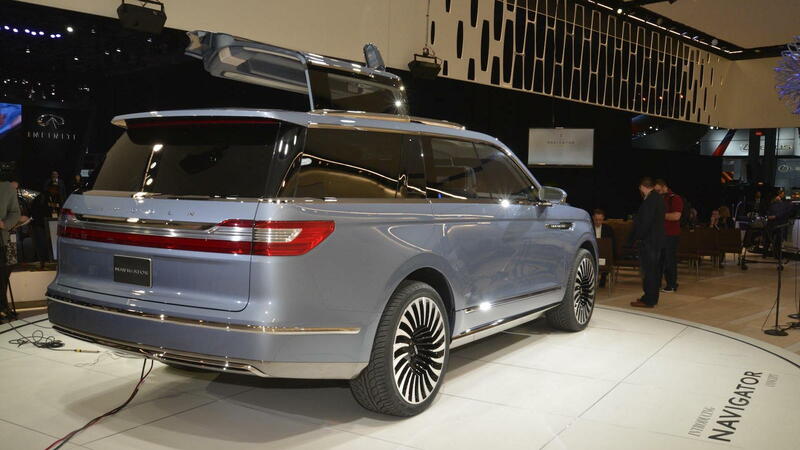 Lincoln has been tight-lipped on plans for the redesigned Navigator but we know it will be a twin to the latest Ford Expedition (shown below). This means the underpinnings will be a rugged body-on-frame design while the actual body will be made from aluminum to help shed weight. Given Lincoln’s decision to drop the V-8 option from its Navigator in 2015, don’t expect one to be offered in the redesigned model. However, we could see a new hybrid option offered at some point. The standard engine should be a twin-turbocharged 3.5-liter V-6 making roughly 400 horsepower and paired up with a 10-speed automatic. 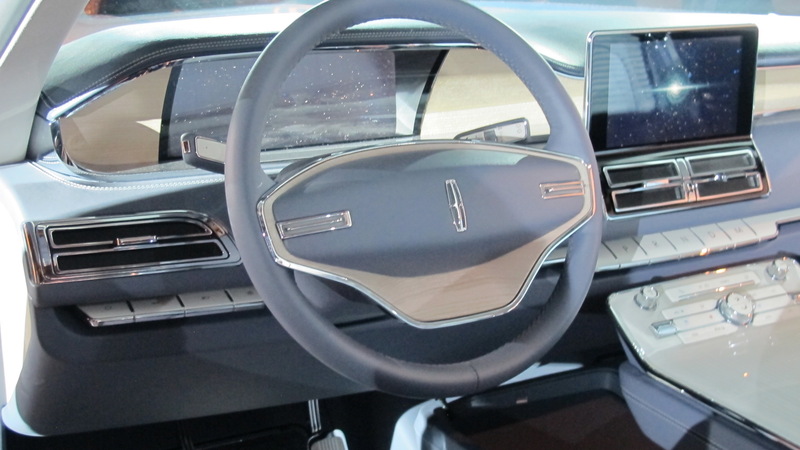 Lincoln’s Navigator concept also previewed some nifty technologies including a driving modes selector as well as the Ford Explorer's Terrain Management off-roading system. Also included were Wi-Fi connectivity and numerous electronic driver assist features. The technological updates should help the redesigned model in what is now a much tougher segment than in past decades. Key rivals in the full-size luxury SUV segment include the Bentley Bentayga, Cadillac Escalade, Infiniti QX80, Land Rover Range Rover Long-Wheebase, Lexus LX 570, and Mercedes-Benz GLS. We’ll have all the details soon as the N.Y. auto show opens its doors tomorrow. For our full coverage, head to our dedicated hub. 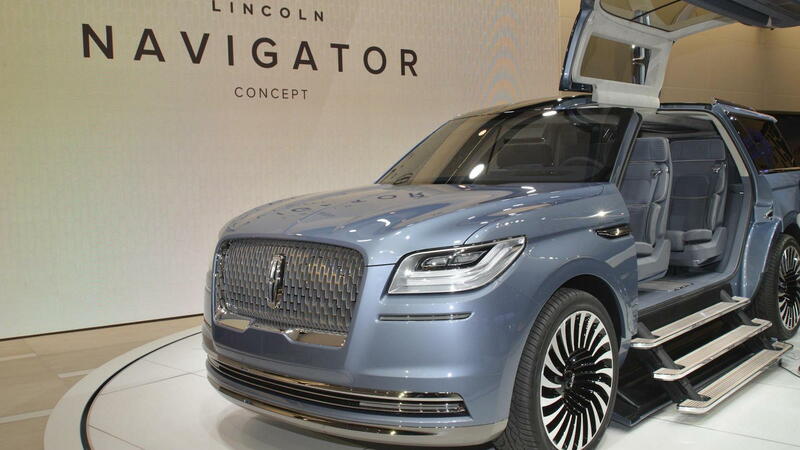 Lincoln to replace MKT with new Aviator based on next-gen Ford Explorer?